Insulet Corporation (NASDAQ: PODD) (Insulet), the global leader in tubeless insulin pump technology with its Omnipod® Insulin Management System (Omnipod System), today announced it has received ISO (International Standards Organization) 27001 certification of its Omnipod DASH™ System. ISO 27001 certification is the international standard for best practice in an information security management system globally. Insulet also recently announced that the Company received the DTSec (Diabetes Technology Society’s) Cybersecurity Standard for Connected Diabetes Device Security certification for the Omnipod DASH System. Insulet is the only insulin pump company to receive both certifications. ISO 27001 is an internationally recognized standard for information security best practice that adheres to the highest international data security standards. DTSec leverages ISO/IEC 15408 to provide a framework for risk-based, multi-stakeholder definition of security requirements. 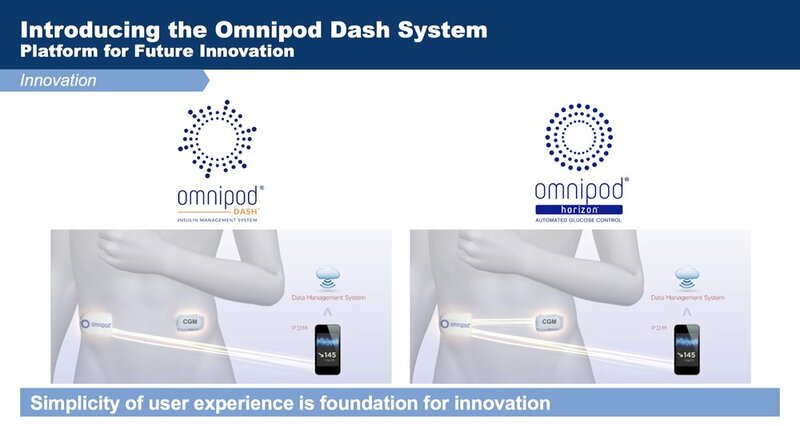 The Omnipod DASH System, Insulet’s next-generation platform, was designed to be the foundation for the Company’s future innovation. With the ISO 27001 and DTSec certifications, the Omnipod DASH System is now globally recognized for incorporating the highest standards for information and cyber security and safety, including secure data transfer between the Pod and the personal diabetes manager (PDM), as well as secure cloud storage. Insulet’s Omnipod DASH System received FDA clearance in June 2018 and is currently in limited market commercial release. The Company expects to fully launch the product commercially in early 2019. Try a free no obligation demo of the Omnipod today! 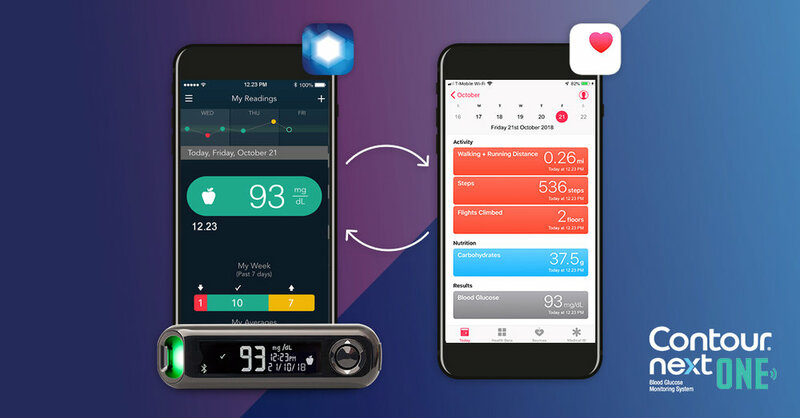 The Contour Diabetes app now integrates with Apple Health. Once you enabled the feature, data from the Contour app will be available in the Blood Glucose area of your iOS Health app. This is the meter that Omnipod users will be receiving when the DASH PDM is released sometime in the first quarter of 2019. Arden is using it now and we are finding the accuracy to be terrific! Good news for the future from Omnipod! BILLERICA, Mass.--(BUSINESS WIRE)--Jun. 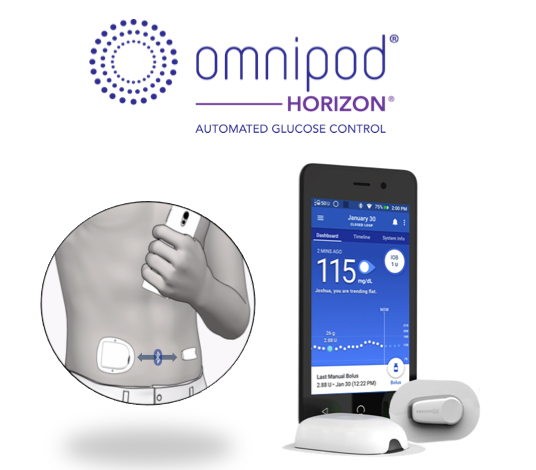 24, 2018-- Insulet Corporation (NASDAQ:PODD) (Insulet or the Company), the leader in tubeless insulin pump technology with its Omnipod® Insulin Management System (Omnipod System), today announced that positive results from the most recent clinical trial of the Omnipod® Horizon™ Automated Glucose Control System (Omnipod Horizon System) were presented during the American Diabetes Association (ADA) 78th Scientific Sessions in Orlando. The study demonstrated that the Omnipod Horizon System performed well and was safe for over five days of use in adults, adolescents, and children with type 1 diabetes. The study was conducted in a supervised hotel setting under free-living conditions with unrestricted meals and moderate-intensity exercise and included patients who use multiple daily injections or traditional tubed insulin pumps as their standard therapy. Study participants spent significantly less time in hypoglycemia, more time in the target glucose range and had better overnight glycemic control compared to their standard therapy. The investigational device includes features that allowed study participants to customize their diabetes management by adjusting their target blood glucose levels and insulin delivery. During the study, glucose control was maintained in the target range (70 to 180 mg/dL) between 69% and 79% of the time overall, and between 74% and 85% of the time during the overnight period, across all age groups. Hypoglycemia was very low overnight, ranging from 0.7% and 1.3% of the time, across age groups. Don’t forget -- your microwave isn't the only clock that requires adjusting tonight. Important: Some insulin pumps may not offer bolus calculations for a period of time after you make clock adjustments. Photo of a man adjusting giant clocks. Peter Shugrue checks a clock at the Electric Time Company factory in Medfield, Massachusetts, on March 8, 2013.